At times we seek a heat that’s not spicy. The slow building warmth of ginger. The clear-cut through your sinuses of wasabi. Eyes tearing up from that hit of hot mustard. Hot Mustard. Oriental Mustard. Asian Mustard. From the ground down seeds of Brassica juncea. When was the first time I tasted it? Oddly I think it was as a child in Provo Utah, in the back seat of the yellow VW Rabbit, a twenty piece McNugget on my lap. Later in Chicago on the sidewalk, sitting on my board and squeezing a tube of it onto my egg roll. It can seize your head. Ring a clear bell through your ear tubes. Fill your mouth with a flash of heat then vanish. Flash after flash. Not pain so much as alarm. This is karashi. Karashi-zuke. 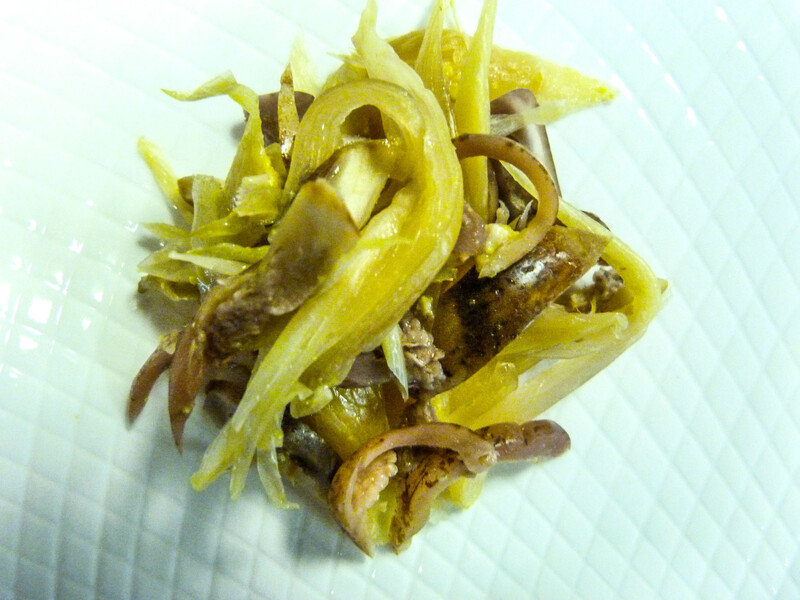 Vegetables fermented in a mixture of sakekasu and mustard. The recipe most often sited is for nasu. 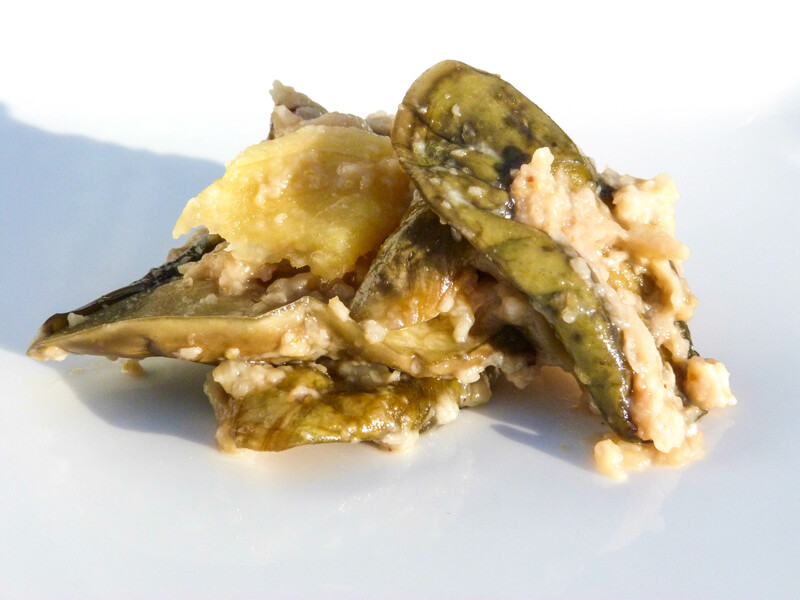 Eggplant, with myoga or ginger, this is called nasu karishizuke or karashi-nasu. For my first go at it I used a mustard that we had made with yellow mustard seed and brine from a green tomato chutney. It was head removing in its potency. We put it into the cave and forgot about it for two years. When we stumbled upon it again it had mellowed substantially but still packed a wallop. I mixed the mustard with whole baby eggplant and myoga and fermented it in an 18 month burdock kasu. In just eight weeks the pickle was astonishingly good. The eggplant wasn’t quite ready throughout the ferment- though some were choice most had not fermented through yet, with tough skins and Styrofoamy flesh. The myoga, however, was fantastic. The shoot had become nearly translucent and the piquancy of myoga and mustard went one for one in a tremendous balance of suddenness and intensity…. and dissipation. As this pickle aged and the eggplant fermented through it became truly special. The myoga remained the star. The following spring I used the, at that time nine months old, karashi-nasu kasu to ferment straight myoga for a dinner at Elements in Princeton New Jersey. 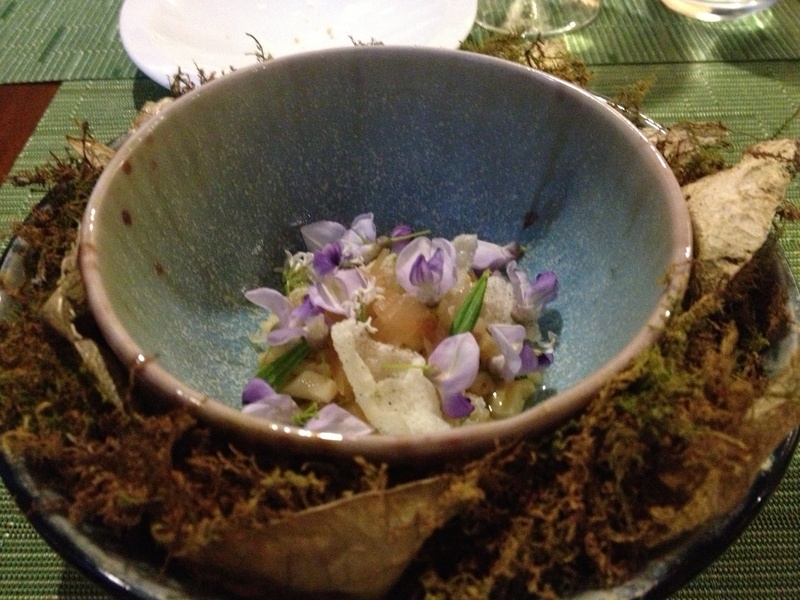 In the dish Chef Mike Ryan combined nukazuke celery root, fermented in the nukadoko I had made for them, re-hydrated dried celery root, a dice of clam and its’ abductor with a muscle aioli, and karashizuke myoga- all in a broth of roasted tomatillos, clam innards, woodruff leaves and flowers- then garnished with foraged wisteria flowers. Beautiful and delicious. A wonderful dish. This year we took a different approach. We made a mustard of brown and yellow mustard seed that we hydrated in jalapeno kasuzuke liquid. When we ferment a vegetable with a high water content, like say a pepper, in sakekasu it usually develops a layer of liquid that is something like a syrup of pepper juice and kasu. I try to siphon this liquid off so that it doesn’t thin out the sakekasu too much at the time of packaging. I save the liquid as a fermenting medium. We aged the mustard for a couple of months. Though it had its merits, I didn’t enjoy it like the previous mustard. It lacked the potency that I think of as karashi. 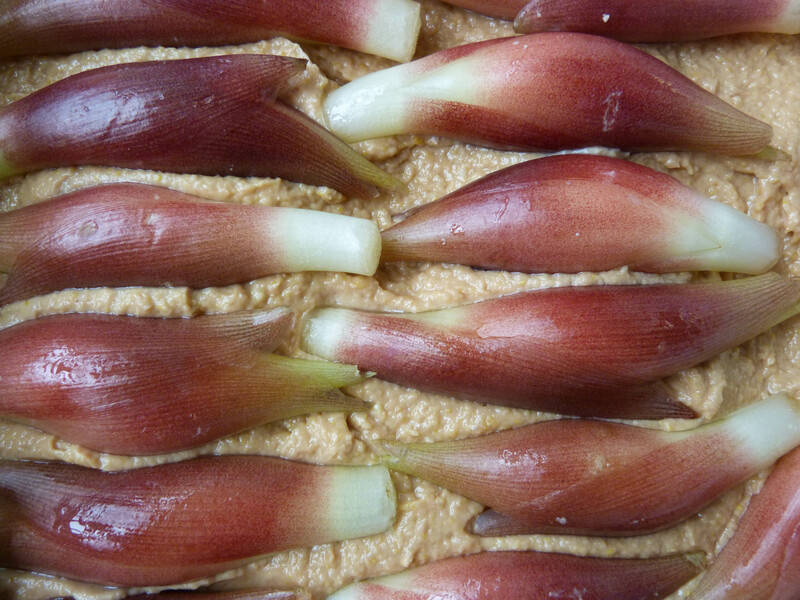 I also used Japanese eggplant which I cut on the bias at about 5mm, and used ginger instead of myoga. Perhaps most importantly we used virgin kasu from Takara rather then our house fermented kasu. The results were completely different. In two months time the eggplant was pleasantly fermented through. Though not quite melt in your mouth it did have a sort of yielding toothsomeness, just shy of luxurious. The ginger was bright and hot. The mustard, unfortunately, was all but lost. It was far too subtle for my taste, and for what I was hoping for. The kasu had the same salt and sugar percentage as the original version but was much younger. The sweetness had not metabolized out and the salt was still rough and forward, though not unpleasantly so. The staff loves it. It’s eggplant candy. A success within a failure- the best kind. Thank you! I am of course familiar with Punk Domestics. I’d be happy to submit. Cheers!